A healthy gastrointestinal (GI) tract is the basis for overall good health, and studies show a direct link between GI health and immune responses. The ability to manage the delicate balance between aggressive factors and the body's protective response is, therefore, critical. Fortunately, targeted nutritional support combined with a specialized diet can effectively promote a healthy GI environment and overall health. As we all know, one of the most common health complaints encountered today is indigestion, and the accompanying bloating, gas, and heartburn. If you do not digest your food properly, you will not get the full benefit from the nutrients in food and in your nutritional supplements. Inadequate supplies of digestive enzymes may allow many undigested, or partially digested molecules to be passed along to the intestine. Many of these incomplete breakdown products can end up in the bloodstream and cause allergic reactions. As we become older or subjected to stress, the digestive tract does not function at its best. Research has shown that at age 60, enzyme levels may drop to less than half of what they were at age 20. 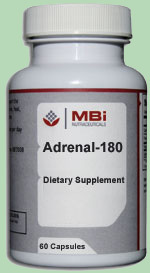 Enzyme supplements are a natural way to aid in the process of digestion. Pancreatic enzymes boost your pancreatin to fully digest protein, fats, and carbohydrates. There are three types of pancreatin: Amylase, Protease, and Lipase. Amylase breaks down carbohydrates, while Protease helps digest protein. Lipase aids in fat digestion. 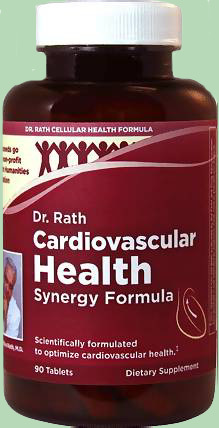 The digestive supplement, Betaine Hydrochloride, raises your hydrochloric acid level in the stomach. If you are deficient in hydrochloric acid there will be only partial or incomplete digestion. As we age, less hydrochloric acid is secreted by the parietal cells of the stomach. Betaine Hydrochloride is the way to increase the digestion of your foods. Another natural product that promotes good digestion is acidophilus. It is a living food with unique health giving properties. Acidophilus enhances digestion and helps to increase absorption of nutrients. 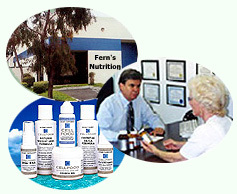 Fern's Digestive Supplement - An aid in the digestion of proteins, fats and carbohydrates. 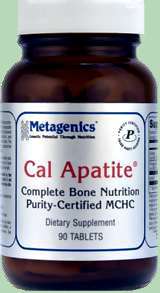 Metagenics SpectraZyme Pan 9x - A comprehensive enzyme complex that helps promote healthy digestive function. Metagenics UltraFlora Balance - Patented Probiotic Formula that features highly viable, pure strains of Lactobacillus acidophilus (NCFM&REG; strain) and Bifidobacterium lactis in convenient capsule form. Nutrition Now PB-8 - Pro-Biotic Acidophilus - Support a Healthy Digestive System. Provides eight types of beneficial bacteria that work together for maximum support. Milk and gluten-free. Metagenics GI Sustain - Powdered beverage mix - a medical food designed to nutritionally support those with leaky gut syndrome. Price: $74.95 - 29.4 oz.